Our previous training venue has closed. We are currently looking for a new place to train. In the meantime, you can train at the Rockdale PCYC. An annual $30 membership fee is required to train at the PCYC. Download form here. Gregor Sensei is a 3rd degree black belt in Kokikai Aikido. 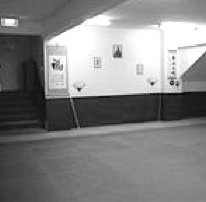 He started his training at the University of NSW during his undergraduate studies, where his imagination was captured by the soft refined movements of Shuji Ozeki Sensei. Since then, Gregor has broadened his aikido experience and spiritual growth through many fantastic teachers and disciplines. 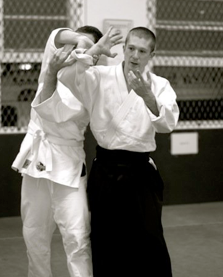 His unique teaching style is a reflection of the deep insight he has of aikido and life in general.